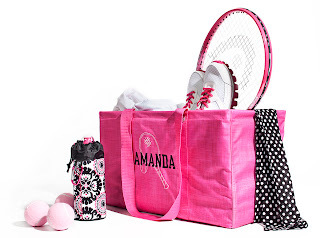 Let’s help April raise some funds for her Light the Night Walk with a Thirty-one Fundraiser! I, Lisa, will donate 20% of all of the sales from the fundraiser to Light the Night Walk. If you are not familiar with Thirty-one here is a great video that our Founder is going to tell you who we are. Not only are 20% of the proceeds being donated but everyone who makes a purchase is entered into a drawing to be the mystery hostess. Want to earn extra entries for the mystery hostess? If you agree to host a party you will get a second entry into the drawing. 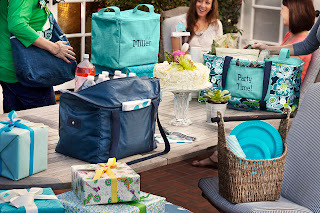 You can host an in home party if your near Wausau, WI, catalog/online party, or even a Facebook party! Ready to shop, here’s the link! Great May special, just in time for summer! Spend $31 and get any of the thermals for ½ price! One of our most popular items is the Large Utility Tote; they are very versatile. 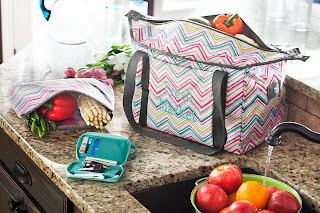 Whether you’re looking to go green at the grocery store, Sam’s or Costco, or your trying to organize your home, car, kid’s toys and life, this tote can carry it all! There’s some really great products that you can pair with the large utility tote to help you with organizing your life. If you are going to the ball field or sports event, you could pair this with an About Town Blanket and Out N’ About Thermal to carry all of your gear, keep drinks cold and throw the blanket out on the bench in the bleachers. OR If you’re organizing the car or any where in your home; pair it with the Organizers (regular and thermal! ), Top-A-Tote or Super Organizing Tote. I am so thrilled to throw this party in memory of my mom, Bette. Team Bette Boop will be walking in Light the Night 2013 in September. Love and miss you MOM! Remember 20% of sales will be donated for Light the Night, Leukemia and Lymphoma Society. All items will be shipped to your address and one lucky person will win the hostess benefits! :) This online party will close on Tuesday May 28th. All orders should be placed at this site: http://tinyurl.com/lightthenight31 Also, if you have questions feel free to ask me or Lisa- her contact info is at the link above.